What are you special accessories that make you feel extra special? That activate your Super Powers? Bright Lip, Heels, & Polished Nails are my “go tos” whenever I have to present, make a speech or represent an organization (or have a “put my foot down” meeting). I think it goes back to my dancing days. I was tall and cast as a showgirl alot.. I always felt so elegant on stage with my sparkles, makeup & heels. I taught ballroom for 8 hours (a day) in heels and dancing in NYC in the 1990s was all Broadway style heels (minimum 2 inches). Plus you NEVER showed up at an audition without lipstick! There is something about the way heels elongate my stride, posture & confidence. But add a bright lip, especially on days where I’m feeling a bit tired and BAM! I love both… as most women do. Everyone has different taste and likes different types of both. 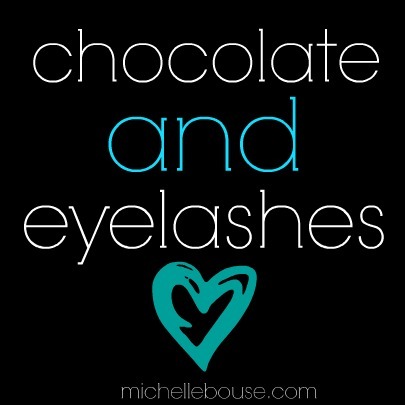 Then enter the love/hate relationships: I love/hate fiber mascara & I love/hate sugar. 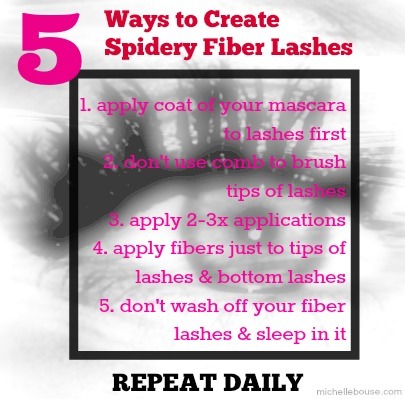 Maybe I am NOT the best judge of fiber mascara because I create natural, perfect lashes daily with lash extensions. I work as a makeup artist who specialized in natural beauty.. but then again I am originally from NJ where more is always better! I love the natural application of fiber mascara. It works amazingly! But I believe it needs to be washed off daily (call me crazy) and should never be applied to lash extensions (unless you want to break off lashes). I love chocolate, I would love to eat it every day. Heck, I wish I could walk around with a drip of it in my arm all day (you know the world would be a better place.. especially once a month 😉 ). But I don’t like the weight it puts on my body eating it every day. Or the lows it gives me after a binge of sweets (and the belly ache). So here’s the issue.. I am horrified when I see spidery pictures of any type of lashes and any chocolate sundae picture make me crave one for days (especially from Serendipty3 in Vegas – my fav Instagram follow). I believe we are all entitled to our options and thank goodness everyone is different or we would be in a crazy episode of the Twilight Zone where everyone looks the same (Season 5 Episode 17)!